Home → About Us → What Is Community Benefit? 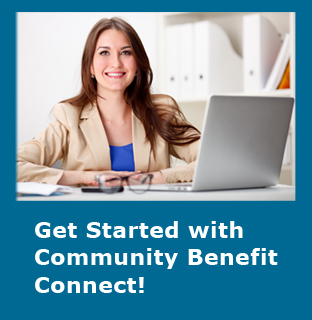 Community benefit is a form of public trust that results in nonprofit hospitals obtaining tax-exempt status. Community benefit covers a full range of services and activities provided by nonprofit hospitals that address the cause and impact of health-related needs. According to the Hilltop Institute, hospital community benefit refers to the initiatives and activities undertaken by nonprofit hospitals to improve health in the communities they serve. These services and activities must result in specific benefit to the community with the outcomes measured by the impact on the community. The community benefit standard includes a provision of care for the poor (charity care) but also must be thought of in larger terms to include the promotion of health. With the passage of the Affordable Care Act, the federal government now requires that all tax-exempt hospitals conduct a Community Health Needs Assessment every three years; develop an Implementation Strategy, based on identified significant health needs; measure the impact of community benefit programs; and report annually to the IRS on tax filing Form 990, Schedule H.
Enhance the health of the community. Relieve or reduce the burden of government or other community health efforts. Restricted to physicians and other hospital employees. Required of all health care providers by hospital rules or standards. Unrelated to community health or the mission of the hospital.